Pay to play is not a new concept in youth sports, especially soccer. Articles have been written, research has been done, and lectures have been given. The pay to play concept has bled into low-income neighborhoods and created a divide for players of color within US Soccer development programs. The problem isn’t merely that it exists—the problem is that this issue has essentially become somewhat of a long-standing tradition in youth soccer. It has become the norm throughout the United States. WHAT IS “PAY TO PLAY,” AND WHY DO I HEAR SO MUCH ABOUT IT? Pay to play can refer to many different fields and professional areas, like politics and business. However, pay to play is a phrase that has been commonly heard or used when referring to youth sports in general. It is the common belief that money must be exchanged for the potential access to the elite club leagues, which lead to potential college scouts, which lead to potential college scholarships, which lead to potential US development leagues, which lead to potentially playing at a national team level. When you exchange money for goods and services, there is a sense of privilege in that. So why would we hear so much about something like that in something like youth soccer? We probably hear so much about it because it has become an evolving problem that was created by the very people who have claimed to love the sport. Soccer is the world’s most popular sport, and yet somehow, it does not truly “belong” to everyone here in the States. The playing field in youth soccer is no longer level, and it has not been for several years. How do we try and solve this problem at a grassroots level? To acknowledge the huge disadvantage that pay to play holds in youth soccer, one must also acknowledge the fact that race and low economic status are related in the United States. Poverty is poverty and money issues can affect anyone in this country. There are average families struggling every day. No one is saying that there are NOT poor white people. What many are saying, though, is the numbers of low-income Black and Hispanic families ARE much higher. That also means they live in more under-developed areas, with fewer educational and athletic resources in their neighborhoods and communities, leading to far fewer opportunities in general. A few years ago, the Working Poor Families Project released a policy brief that contained information and charts examining the relationship between race and ethnicity in poverty levels. They also charted the percentages of working families below 200% poverty by race and ethnicity. With a constant pay to play system in place for youth soccer in the United States, this immediately sets a barrier between potential players of color and an elite soccer league or an Olympic Development program. Most families who enroll their kids in sports do so as a means of social interaction and activity. What happens when that child eventually develops and displays actual talent and skill? Where do they go to improve and enhance their skills, as the costs of youth soccer and its elite leagues rise? For the non-white youth of this country, that opportunity shrinks every year. There are youth development academies out there that are free with a “homegrown” player emphasis that can lead to opportunities for young players to someday play with the senior team. The Chicago Fire Developmental Academy is one. One of their main perks is that participation comes at no cost for its players, and it provides a door to the U.S. Soccer Development Academy League at the U-16 and U-18 level. It also hosts its training sessions in and around the Fire’s stadium, Toyota Park, which is located in Bridgeview (a suburb south of Chicago). It is one way to eliminate some of the parental noise that may come from pay to play teams, while giving low income families an opportunity for their child to be selected based on their talent. It is also extremely competitive and limited to 50 boys. So why do the development academies in the women’s game have such heavy fees? When looking into academy fees for girls, one can check into the Portland Thorns FC, arguably the most popular team in National Women’s Soccer League. They have their academy information available online, like most NWSL academies, for families who are interested in having their daughters set on a path of potential. They outline a pyramid of potential for success through their academy that can lead to college opportunities, NWSL drafts, and maybe someday the United States senior national team. The academy state fee was listed at $1,350 for the 2015/2016 season, after estimated travel costs for U16’s, the grand total rounded out to $4,515. The academy state fee is now $1,600 for the 2016/2017 season. What families from low-economic backgrounds are able to fit an additional $4,500 into their already tight budgets? Of course these types of academies, camps, and various development leagues all offer some type of payment plan. They may also offer some kind of financial assistance in the form of scholarships on a case-by-case basis. In the event that a child is sponsored or offered a scholarship into these leagues and academies, what type of additional pressure do they carry into these development programs? The constant pressure to succeed or immediately contribute to their teams could be considered unfair emotional and mental baggage for them. What happens when one of these teens are just having a bad day and don’t feel like practicing? The attitude of “you’re fortunate to be here” doesn’t leave much room for error or lax attitudes. It could also cause strife between “paying” parents and “non-paying” parents. After all, isn’t that why one pays to play? Paying for the privilege of having their child get access to the best coaching? And to get as much playing time and pitch time as possible? 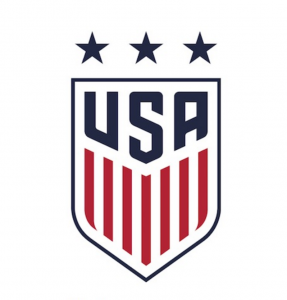 WHAT COULD THIS MEAN FOR THE FUTURE OF U.S. SOCCER? When one thinks about success in US soccer at a national level, one immediately thinks of the United States Women’s National Team. They have won multiple Olympics, FIFA World Cups, and other various international tournaments. 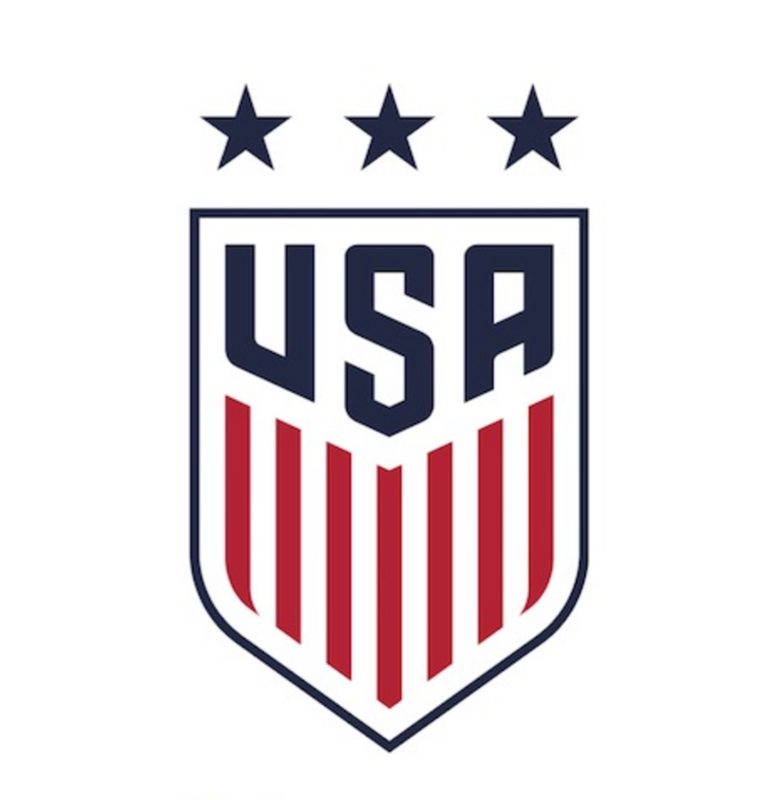 Although the US Soccer Federation could continue to improve their relationship and support of the women’s game, the United States is one of the stronger federations when it comes to women’s soccer. The USWNT has grown in reputation for their ability in peak physical play and fitness, along with their fierce attitudes on the pitch. Just because it has been referenced and noted that we have outstandingly fit players and that other countries may not doesn’t mean the competition isn’t catching up. The inaugural She Believes Cup, an elite 4-team tournament hosted in the US, saw the USWNT face 3 top-five ranked teams. Each victory of theirs was closely contested—all with one-goal margins of victory. There were no 5+ goal wins, like we saw throughout their World Cup Victory Tour. When you’re competing against other highly-ranked international teams, why should we sell ourselves short of creativity and depth from potential future players? The “American Style” brand of women’s soccer is to be bigger, more physical, and fit—to do enough to literally run the team off the field. What happens when other federations try to match that style? Does that leave room for creativity on or off the ball? Does it not hurt our future when these financial barriers are a constant issue? The infrastructure of youth soccer in the U.S. has to be looked at from the bottom, at the grassroots level, in and around communities. However, that does not mean that there shouldn’t be accountability at the top. Administration and coaches have to look at themselves and the infrastructure and ask if this how they want to operate. For more content related to Race in WoSo, please check out our discussion here. We will continue to have these discussions and have a follow up to this Pay to Play article discussing Youth Soccer and Latin-American Bi-Culturalism.